As many of you know, the Illuminatus Observor is simply the finest site for a contemporary view into the world of Hermetic Qaballa. The Occult insights available at the Illuminatus Observor are, in many respects, the leading edge of qaballistic studies. 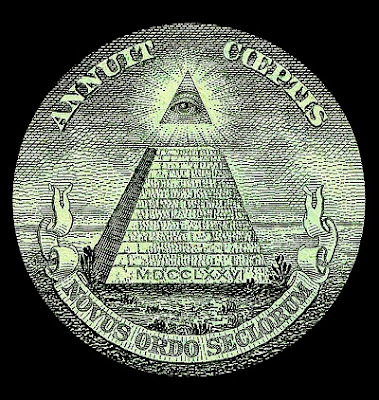 Some have commented that the Illuminatus Observor is simply the "torch bearer" in the world of Qaballah today. 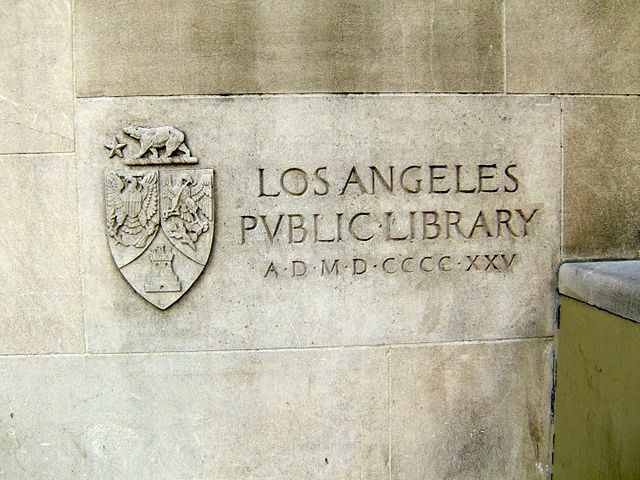 What is better - all the information contained at the Illuminatus Observor is made freely available. The information has clearly been received beyond expectations. Its popularity and growth has been personally rewarding. Along with this growth comes the need to expand the "franchise" - the knowledge and information, and means of educating and teaching the concepts at a higher level. To do this requires continued investment in the product and franchise in both time and resources. The time is "on me" - your assistance in bringing forth required resources is an appreciated ingredient. We are currently raising US$240 for the purchase of multimedia production and digitizing equipment. This technology will be used to expand into the education and publication of course material which will be available on a separate (already acquired) website. 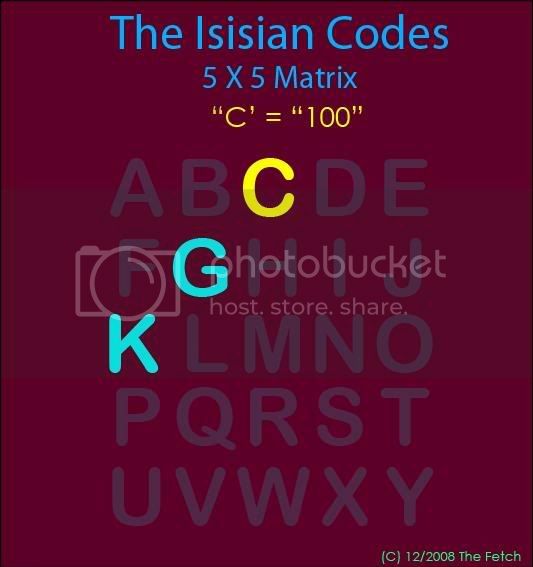 For those of you who have benefited from the knowledge and insights available, you are encouraged to please make a donation for this new era in the advancement of the Isisian Codes. Alternatively - if you have multimedia equipment you would be interested in donating, contact me at "thefetch@hotmail.com". Inside the Eye remains perhaps the most successful and popular podcast covering the Hermetic Qaballa arts. This is great news except that new content involves supporting a large number of downloads and listeners. In order to be able to continue to add shows and support the current listener base - and of course new listeners daily, it is really necessary to increase the bandwidth download allotment. The current allotment is 50 Gb of file transfer per month. Each of the primary files is 10-12 MB per file and the new Interview Series requires 25-50 MB, depending on whether the file is formatted to support advertising at Podbean. Inside the Eye regularly receives between 1500 - 2000 episode hits per month - which would increase if new content is added. The issue is any increase in traffic will utilize the entire monthly bandwidth allotment (currently 88% as of June 23) long before the month ends - effectively putting Inside the Eye "off the air" - or the digital waves. Your contribution here will ensure that new material can be produced AND Inside the Eye will remain available on a month to month basis. The proposed account will have un-metered download and limited but acceptable levels of monthly episode storage. Please donate here to aid in this project. There are a few new and exciting developments in discussion. The point is to bring the knowledge and principles found at the Illuminatus Observor to a larger audience. This requires a more focused and professional level of presentation. You can help make that possible! Ultimately, this effort is a recognition of the years of support and the continued success of this franchise will be found on your continued support. So donate to either or both project requirements today! Thanks again for all the years of support! The numbering sequence commonly known as "the Roman Numerals" holds many esoteric and mystical Qaballistic properties. 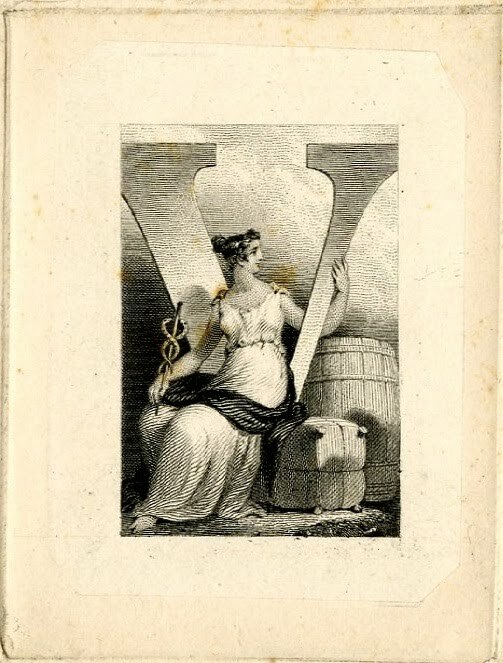 As Roman numerals are an integral component of the composite whole, an introduction into the esoteric properties of the Roman numerals is in order. Without Roman numerals, the complexity and universality of the Art of Qaballa based on a 26 digit Alphabet could not be recognized. This article will provide some initial insights and observations into the esoteric properties of the Roman numbering system and provide some basis for how to recognize Roman number sequencing in Qaballistic deconstructions. The Roman numbering system, like much of Greco-Roman culture, has survived and prospered through two millenia. The very survival of the Roman numbering system hints at a larger necessity: the survival of the Roman numbering system is integral to the larger Letter-Number system of the Western Illuminati. Without the mathematical values of the Roman numbering system, a larger, composite philosophy within Western occult constructions could not be assembled into a composite whole. Within the Roman numbering systems holds adumbration's of a larger truth. Thus there is a necessity to preserve the Roman numbering system precisely because within the Roman numbering system lay hidden key details to a larger luminous system. This luminous philosophical system lies, further, beyond the reach of any single cultural perception. It was the Greek's via Pythagorus, and later, the Romans, who utilized and taught the idea of "letters as numbers". The idea that "letters and numbers are as one, inseparable" remains at the very core of the Illuminatus, or Qaballistic, system. It was the later Hebrews would would morph Pythagorean ideas on meta-numerics into their "Torah" and ideas of "Kabballah". Clearly, one of the inital, and primary (Qaballistic) codes based on Letters/Numbers was the Roman (and Greek) numbering system(s). The preservation of this core Letter/Number philosophical codes would be necessary and, so, like silent sentinels from the past, Roman numbering may to this day be found gracing the facades of architecture, books, coins, as well as being prominently displayed in the modern era in the Arts in the form of "film". 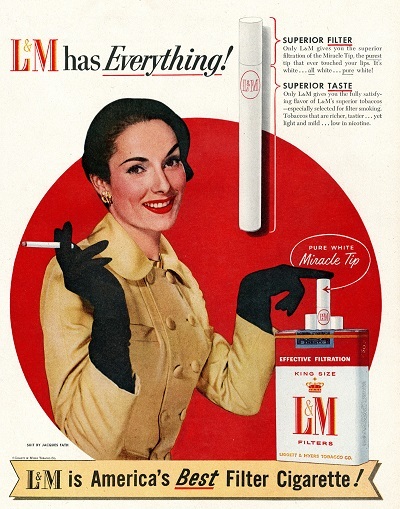 Examples of such "preservation" may be found literally everywhere within the West. A common method in which Roman numbering is expressed is found on the face of clocks. "Big Ben" in England is perhaps one of the more famous, but Roman numbered clocks are found through out the West. 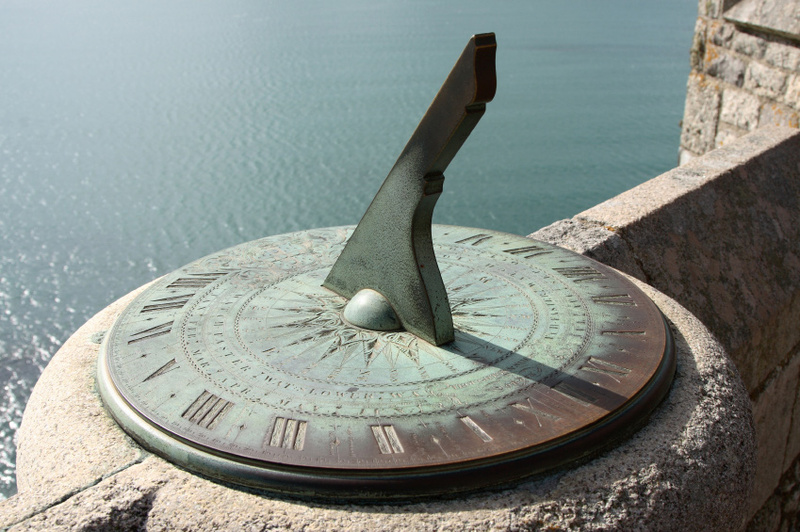 Sun dials would also be a popular method of expressing, and hence preserving, the Roman numbering system. 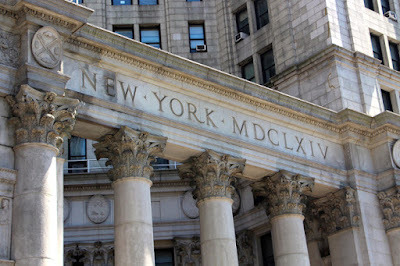 Of course, embedding Roman numbering into architecture would be a method for which the preservation of the numbering system would be traverse through multiple generations. This is a practice that continues to this day, but enjoyed an impressive resurgence at the height of Freemasonry in the United States during the 1920's and 1930's. It is difficult to not notice the prevalence of buildings remaining today yet built in the 1920's which are not prominently denoted in the Roman numbering system. 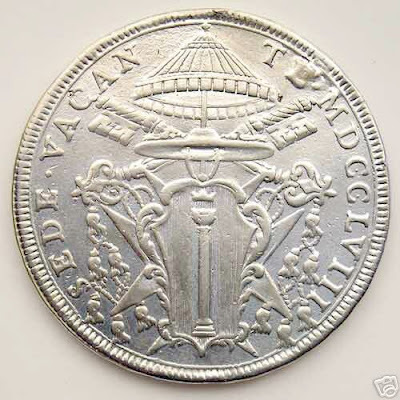 while the United States dollar bill has perhaps one of the most widely distributed and recognizable usages of Roman numbering with the prominent display of "1776" written in Roman numbers. What remains is an esoteric inquiry into the very system of numbering. A pause and reflection reveals that the numbering system holds a silent beckoning, a message of insight from the past patiently preserved for posterity. The letters, as "gods", indeed beckon the inquiring mind to unwravel their secrets. At first glance, the position of the Roman numbering system appears unremarkable, and, perhaps, a bit chaotic and random. Indeed, such chaotic and randomness might be argued successfully and forcefully, but to relative to the Qaballistic Arts, such an argument would appear to be both lazy and and disingenuous: the "Great Arbiter" behind the design of a comprehensive Letter/Number system should not be seen as so careless as to leave elements within the larger esoteric system "left to chance". 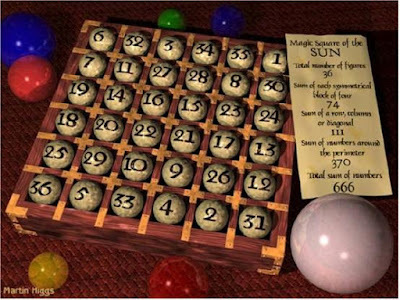 The Roman Numbering system teaches us the importance of one of the key methodologies to the Luciferian, or Illuminatus, or Qaballistic Arts. This key component is that of the "Principle of Summation". This statement follows dialogue that effectively reveals the properties regarding a progression based on summation. The secret in this case is all too clear: the Roman numbering of "II" may be viewed as an "11", and further, when this principle is attached to larger clues to the code, the "11's" become "66's", and with it, large pieces of logic within the Letter/Number system become manifest. Conceptually, we are really dealing with two ideas or properties: "Cloaking of Formulas" and "Principle of Summation". In the "Principle of Summation", the basic tenet is a Letter maintains its number from 1:"n" and at the same time, has a value of itself summed from 1 to itself. Demonstrated simply, the Letter B is placed at number 2 in the Alphabet, while also, it has a value of 3 in that the sum of 1:1 (1+2) is 3. D is placed at 4 while the sum of 1 to itself (4) is 1+2+3+4 = 10. The other conceptual is that of "cloaking" elements of the mathematical formula within the Letter or Word. In the case of the Letter B or D, each Letter is really a Letter/Number representation of its summed components. 1+2=3 is the extended formula. B is the cloaked formula: the "+2=" portion of the formula is "cloaked". The other numbers are used to represent the entirety of the mathematical and philosophical formula. The same holds true for D in that 1+2+3+4=10. We could say that D is a representation of the beginning of the formula at "1" and the ending of the formula at "0", compressed into the glyph of D, or we could say that the summation of the formula is used and then the 1 and the 0 are compressed. Extending this idea to the Roman numbering system, the total value of the numbers is 1,666. Again, we see the idea of "cloaking" and summation in "play". The number set 1,666 is akin to a "cloaking" of the code 1:36=666. Further, since "1:36=666" is the formula for "the Sun" and also the "secret number of Isis", the number total of 1,666 seems to be an overt statement that those behind the Roman numbering system were aligned with the various movements associated with Pagan solar worship and Isis. Unlike the positioning of the symmetrical and asymmetrical letters of the Alphabet, an initial observation of the positioning of the Roman numbers does not reveal any initial overt significance. But staying with the idea of summation, the placement of the Alphabet into a 5 x 5 grid reveals that summation is evident in patterns relative to the Letters C and D.
In the case of the Letter C, which has a Roman numeral value of 100, we notice that the diagonal left is comprised of the Letters KGC. When the summative value of each of these letters is applied, we note then that the Sum of 1:K(11) is 66, while the sum of 1:G(7) is 28, and the sum of 1:C(3) is 6. Through the application of applying summation we are able to show a logical pattern leading to C having a value of 100. It would make sense, then, that the Letter D, having a Roman number value of 500, would too show a logical pattern, using summations, which would allow us to arrive at 500. This, indeed, proves to be the case. In the horizontal column within which D lies, we have the Letters S and X. Since the sum of 1:X(24) is 300, while the sum of 1:S(19) is 190, then too, the sum of 1:D(4) is 10. The inherent logic is that summation plays an important and critical rational value in the larger Letter/Number Illuminatus system. Aside from the clear numerical significance associated with the total value of the Roman numbering system, a meditation, or reflection, on the Letters reveals further esoteric significance to each of the Letters. For instance, the Construct is based on the idea that mankind is "drowned" in the "sea". C and "sea" are, of course, phonetically the same. In this case, the "C" is a construct based on a series of occultations. This is very similar to the principle of the "TZIM TZUM" of the Jewish Kabballah, wherein TZIM TZUM simply reverses to MUZT MIZT, or "must myst" if I. 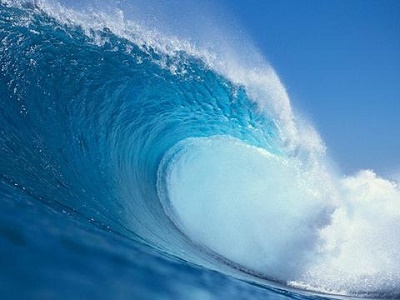 The end goal and object is to rise above the waves, which, upon ones death, one is said to be "de-C"eased". Equally, the "death state" is when one enters into one's "KA", so 100 as C is also known as "DECA", or "DE KA". "D" is 1/2 of M. D is 1/2 of the circle. In this case, we find the Letter D playing a part in such words as DUAT, DEAD (de-add), DUAL/DUEL, and so forth. In each of these cases, there is a presumption of a double or pairing, for which the Letter D, being but half of the total circle, leads one to a singular representation while equally invoking a paired reality. I, and EYE, is the first number from separation from totality (the O). This first degree of separation includes such words as "I", I-DEA", the "ID" (and "I-D"). I is critical in that it is number 1 Letter beginning at the end of the 0-9 sequence. 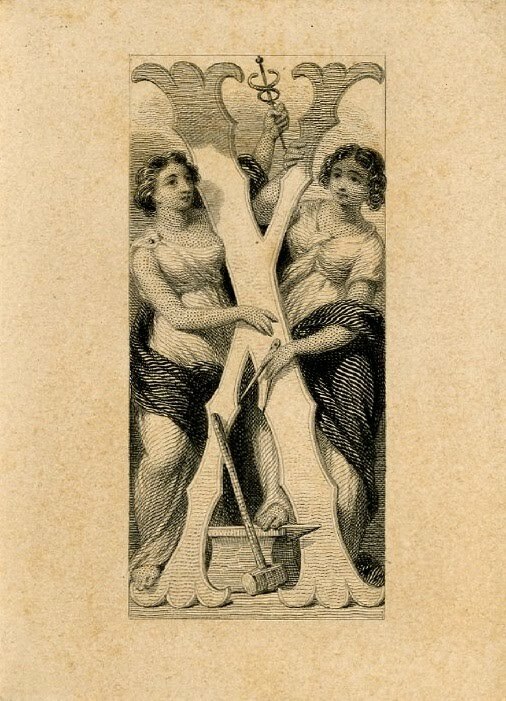 Thus the I and the A are said to be each "1", wherein A is said to be Osiris/Able, while the I is said to be Seth/Cain, wherein a "cane" is a single crutch. "L" as "50" would be 1/2 of C, or 1/10 of D. L as 12 doubled is 24 is X is 10, which accurately reflects the male 1 and the female 0. L is said to be the "Fallen Angle/Angel" and is equated to the Hang Man of the Major Arcanum, which is Odin hanging on the tree for 9 days and 9 nights. As L is half of T, conceptually, wherein T is "vision" and "awareness" (tea wakes you up which while one is taught (tau) by a T'cher). The inference is there is a lock and key relative to the L and the D, a number set that creates a 3:4 ratio, which is a least denominator of the 9:16 ratio (think television), wherein 9 is I and 16 is P, or IP=PI. The Letter M is "thou-sand", wherein SAND is the Letter S (DNA) and AND is DNA. The inference here is that the Letter M, comprised as it is of ADM (II) and EVE (V), implies that the largest number is the Universe is DNA which, as the SANDS of the EARTH, are countless and immeasurable. V as 5 is hinge or locking point. V is the Feminine. It is the upper half of the X, hence is 1/2 of the Letter X, which is 10. The Sum of 1:V (5) is 15 is the Letter O, which is the "Feminine" or "the Egg". V clearly links the importance of Roman numbers to the larger Letter Number philosophy or system, which, as sharing properties of X, clearly links qaballistic properties of English lettering to Roman numbers. One of the primary roles of gematria is to utilize number in order to peer into or behind a word such that one is able to ascertain willfully encoded esoteric significance, or to ascertain additional intuitive insights that help the seeker peer further into the Construct. It is important to employ or consider Roman numbering as a part of one's analysis. In this case, the Letter U, sharing as it does the Letter V in many instances, is converted to a V and then the Roman numbers are broken out. 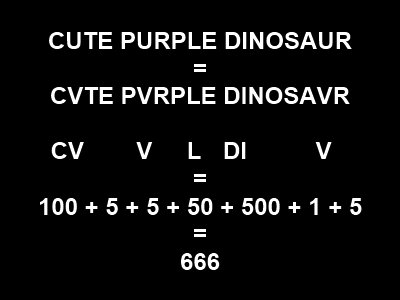 When this is done, the Roman numbers total 666, and thus the hidden Roman numeral code to Barney - the "CUTE PURPLE DINOSAUR" is the number 666. This same technique is used in the word ILLUMINATUS. In this case, the Letters I (LL) (MI) have values of 1 (100) 1001, which, when "pushed back together" form the number 11001001 = 11.001001 = Binary Pi - the ideal number for an elite where Pi is the ultimate omnific word. Other ways are to look into measurements as in the word MILE. A MILE is comprised of 12 inches to a foot. The word MILE, should, then, accurately reflect the total number of FEET, or INCHES. Something must match as the theory is that English is a structured and designed language that encodes certain "truths". In the case of MILE, we have a sequence of 3 Roman digits. 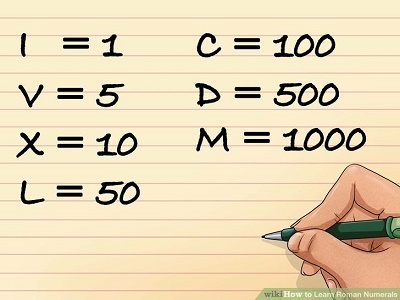 When we add 1000+1+50+5, the total is 1056. 5280 feet divided by 5 = 1056 Feet. Indeed, the word is encoding the absolute value (in feet) of what is precisely a MILE. The MILE is critical to the astronomic readings of the Universe as viewed from Earth. It should not, therefore, be construed as an accident that MILE in reverse is the word ELIM(inate). Another way in which Roman numbers is used is in defacto deconstructing the Construct. 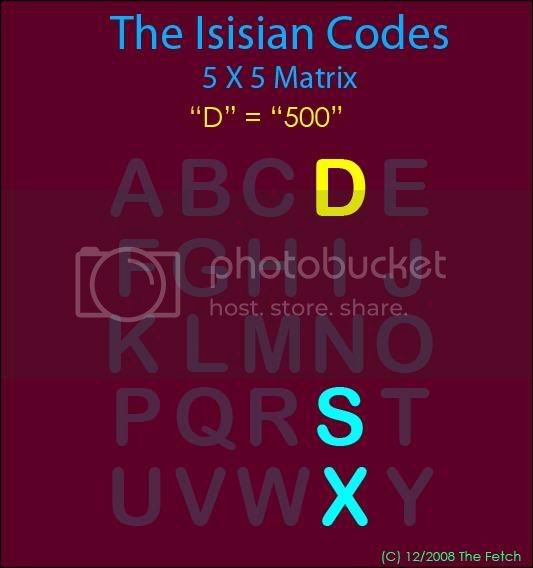 In the case of the Isisian Codes, we know that at Column 6 is found the Letters FV, or the word FIVE. This means that FIVE = SIX, a common Occult code, but one which was made public and prevalent through the OTO and Golden Dawn. In the case of FIVE = SIX, we must prove that indeed FIVE = SIX. This is done through Roman Numerals. SIX = S(3) IX(9) - we sum the S(3) to reveal 6(9), for you cannot have a SIX without a (IX)(9). In the case of FIVE, the word must then, also equal 69. This is easy to see because in the word FIVE, the Letter F is already a 6 (F is located at 6). What remains is Roman numbers IV, which is 4, which further is added to E, or 5, to reveal (IV)+E=4+5=9. Clearly SIX = FIVE - if you know how to deconstruct the Code. All of this, and so much more, hints at the critical importance that Roman numerals play in the larger philosophical construct which is found in English.